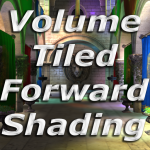 To fulfill the requirements for my Masters in Game and Media Technology (GMT) for the University of Utrecht in the Netherlands, I wrote a thesis on a rendering technique called Volume Tiled Forward Shading. The technique is based on Clustered Forward Shading described by Ola Olsson et. al . In 2015, I also researched Tiled Forward Shading  and documented my findings here. In that post, I described several areas for improving the Tiled Forward Shading technique. One of the improvement points is to reduce the number false positives (lights that do not contribute to the final shading being added to a tile) that occur within tiles that contain a large depth disparity. Another improvement point was the optimization of the light assignment to tile phase. The issue caused by the large depth disparity within the tile can be resolved by splitting the tile along the depth in view space. This can be achieved by constructing a 3D grid of volume tiles and assigning the lights in the scene to the volume tiles. The light assignment to tiles phase can be optimized by first building a Bounding Volume Hierarchy (BVH) over the lights in the scene. During the light assignment phase, the BVH is traversed and only the nodes of the BVH that intersect with the volume tile need to be considered. Using a grid of volume tiles and constructing a BVH over the lights in the scene, the Volume Tiled Forward Shading with BVH optimization is able to handle millions of light sources in the scene while still maintaining real-time (greater than 30 FPS) frame rates. 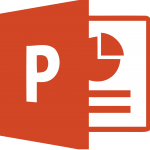 To provide a brief overview of Volume Tiled Forward Shading, I’ve created a PowerPoint Presentation. To demonstrate the Volume Tiled Forward Shading technique, I’ve created a short video. In the video, Forward Rendering, Tiled Forward Shading , and a variation of Clustered Forward Shading  are compared. By constructing a Bounding Volume Hierarchy over the lights in the scene, we are able to show millions of active light sources are supported while still maintaining real-time frame rates (30 FPS). 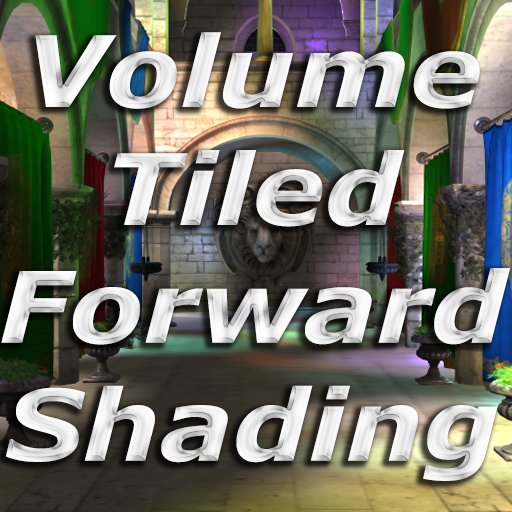 An application that demonstrates Volume Tiled Forward Shading was created using the DirectX 12 graphics API. The download for the demo contains all of the source code, project files, and a solution file for Visual Studio 2017. Refer to the README.txt file in the root folder for compilation and usage instructions. Pre-built binary executable is also provided in the Game/bin folder. Configuration files for loading different models is found in the Game/Conf folder. Rung the Game/Conf/RegisterFileType_Win10_Rel_x64.bat batch file to automatically register a file handler for the .3dgep extension. Use the UnregisterFileType_Win10_Rel_x64.bat batch script to remove all the registry entries created by the register script. The demo has been compressed using 7-zip because 7-Zip provides the best compression ratio when compared to WinZip or the Zip compressor built-in to Windows 10. Since the demo was created using DirectX 12, a Windows 10 64-bit computer is required to run the demo. The demo was created using the Windows 10 SDK (10.0.14393.0). If you have a newer version of the Windows 10 SDK installed on your computer then you may need to update the SDK version to the version you have. To do this, open the Visual Studio 2017 solution file in the vs_2017 folder. After the solution opens, right-click on the solution file and select Retarget Solution from the pop-up menu that appears. Select the SDK version that you currently have installed from the drop-down menu in the Retarget Projects dialog box that appears. After you retarget all of the projects in the solution to match the Windows SDK that you have installed, you should be able to compile the solution without errors. Please leave a comment in this post if you still encounter any problems with downloading, compiling, or running the demo. The file is over 2 GB because it contains all of the source assets that can be used to test the application. All source assets were retrieved from Morgan McGuire’s Computer Graphics Archive https://casual-effects.com/data. G. Singer, “The History of the Modern Graphics Processor”, TechSpot, 2013. [Online]. Available: http://www.techspot.com/article/650-history-of-the-gpu. [Accessed: 02- Sep- 2016]. M. Segal and K. Akeley, The OpenGL Graphics System: A Specification, 1st ed. Silicon Graphics, Inc., 1994. J. van Oosten, “Introduction to DirectX 11”, 3D Game Engine Programming, 2014. [Online]. Available: https://www.3dgep.com/introduction-to-directx-11. [Accessed: 21- Sep- 2016]. K. Akeley, A. Akin, B. Ashbaugh, B. Beretta, J. Carmack, M. Craighead, K. Dyke, S. Glanville, M. Gold, E. Hart, M. Kilgard, B. Licea-Kane, B. Lichtenbelt, E. Lindholm, B. Lipchak, B. Mark, J. McCombe, J. Morris, B. Paul, B. Poddar, T. Roell, J. Sandmel, J. Schelter, G. Stahl, J. Stauffer and N. Triantos, “ARB_vertex_program”, Opengl.org, 2007. [Online]. Available: https://www.opengl.org/registry/specs/ARB/vertex_program.txt. [Accessed: 23- Sep- 2016]. B. Beretta, P. Brown, M. Craighead, C. Everitt, E. Hart, J. Leech, B. Licea-Kane, B. Poddar, J. Sandmel, J. Schelter, A. Seetharamaiah and N. Triantos, “ARB_fragment_program”, OpenGL.org, 2013. [Online]. Available: https://www.opengl.org/registry/specs/ARB/fragment_program.txt. [Accessed: 23- Sep- 2016]. M. Segal and K. Akeley, The OpenGL Graphics System: A Specification, 2nd ed. Silicon Graphics Inc., 2004. M. Deering, S. Winner, B. Schediwy, C. Duffy and N. Hunt, “The triangle processor and normal vector shader”, ACM SIGGRAPH Computer Graphics, vol. 22, no. 4, pp. 21-30, 1988. R. Geldreich and M. Pritchard, “GDC Vault – Deferred Shading on DX9 Class Hardware and the Xbox”, Gdcvault.com, 2004. [Online]. Available: http://www.gdcvault.com/play/1015172/Deferred-Shading-on-DX9-Class. [Accessed: 27- Sep- 2016]. O. Shishkovtsov, “Deferred Shading in S.T.A.L.K.E.R.”, in GPU Gems 2: Programming Techniques For High-Performance Graphics And General-Purpose Computation, 3rd ed., M. Pharr and R. Fernando, Ed. Pearson Addison Wesley Prof, 2006. M. van der Leeuw, “Deferred Rendering in Killzone 2”, Palo Alto, California, 2007. M. Mittring, “A bit more deferred – CryEngine 3”, Raleigh, North Carolina, 2009. T. Saito and T. Takahashi, “Comprehensible rendering of 3-D shapes”, ACM SIGGRAPH Computer Graphics, vol. 24, no. 4, pp. 197-206, 1990. O. Olsson and U. Assarsson, “Tiled Shading”, Journal of Graphics, GPU, and Game Tools, vol. 15, no. 4, pp. 235-251, 2011. T. Harada, J. McKee and J. Yang, “Forward+: Bringing Deferred Lighting to the Next Level”, 2012. J. McKee, “Technology Behind AMD’s “Leo Demo””, San Francisco, California, 2012. T. Harada, “A 2.5D culling for Forward+”, SIGGRAPH Asia 2012 Technical Briefs on – SA ’12, 2012. J. van Oosten, “Forward vs Deferred vs Forward+ Rendering with DirectX 11”, 3D Game Engine Programming, 2015. [Online]. Available: http://www.3dgep.com/forward-plus. [Accessed: 29- Sep- 2016]. C. Balestra and P. Engstad, “The technology of uncharted: Drake’s fortune”, Game Developer Conference, 2008. J. Andersson, “Parallel Graphics in Frostbite – Current & Future”, Siggraph, 2009. O. Olsson, M. Billeter and U. Assarsson, “Clustered Deferred and Forward Shading”, in Eurographics/ ACM SIGGRAPH Symposium on High Performance Graphics, Eurographics, 2012. C. Ericson, Real-time collision detection. Amsterdam: Elsevier, 2005. “Downloads”, Crytek.com, 2017. [Online]. Available: http://www.crytek.com/cryengine/cryengine3/downloads. [Accessed: 04- Jan- 2017]. N. Wilt, The CUDA Handbook: A Comprehensive Guide to GPU Programming, 1st ed. Addison-Wesley, 2013, pp. 365-383. T. Karras, “Thinking Parallel, Part II: Tree Traversal on the GPU”, Parallel Forall, 2012. [Online]. Available: https://devblogs.nvidia.com/parallelforall/thinking-parallel-part-ii-tree-traversal-gpu/. [Accessed: 05- Jan- 2017]. NVIDIA GeForce GTX 1080 Whitepaper, 1st ed. NVIDIA Corporation, 2016. J. van Oosten, “Optimizing CUDA Applications – 3D Game Engine Programming”, 3D Game Engine Programming, 2011. [Online]. Available: http://www.3dgep.com/optimizing-cuda-applications/. [Accessed: 06- Jan- 2017]. CUDA C Best Practices Guide, 1st ed. NVIDIA Corporation, 2016. “Programming Guide :: CUDA Toolkit Documentation”, Docs.nvidia.com, 2016. [Online]. Available: https://docs.nvidia.com/cuda/cuda-c-programming-guide/index.html. [Accessed: 13- Jan- 2017]. E. Young, “DirectCompute Optimizations and Best Practices”, San Jose, California, 2010. G. Morton, A computer oriented geodetic data base and a new technique in file sequencing, 1st ed. Ottawa: International Business Machines Co., 1966. R. Dickau, Lebesgue 3D curve, iteration 2. 2008. N. Satish, M. Harris and M. Garland, “Designing efficient sorting algorithms for manycore GPUs”, 2009 IEEE International Symposium on Parallel & Distributed Processing, 2009. O. Green, R. McColl and D. Bader, “GPU merge path”, Proceedings of the 26th ACM international conference on Supercomputing – ICS ’12, 2012. M. Harris, S. Sengupta and J. Owens, “Parallel Prefix Sum (Scan) with CUDA”, in GPU Gems 3, 1st ed., H. Nguyen, Ed. Addison-Wesley, 2008, pp. 871-873. G. Blelloch, “Scans as primitive parallel operations”, IEEE Transactions on Computers, vol. 38, no. 11, pp. 1526-1538, 1989. W. Hillis and G. Steele, “Data parallel algorithms”, Communications of the ACM, vol. 29, no. 12, pp. 1170-1183, 1986. O. Olsson, “Introduction to Real-Time Shading with Many Lights”, 2015. J. Foley, A. van Dam, S. Feiner and J. Hughes, Computer Graphics: Principles and Practice, 2nd ed. Boston: Addison-Wesley, 1996. H. Zhang, D. Manocha, T. Hudson and K. Hoff, “Visibility culling using hierarchical occlusion maps”, Proceedings of the 24th annual conference on Computer graphics and interactive techniques – SIGGRAPH ’97, 1997. J. Clark, “Hierarchical geometric models for visible surface algorithms”, Communications of the ACM, vol. 19, no. 10, pp. 547-554, 1976. E. Catmull, “A Subdivision Algorithm for Computer Display of Curved Surfaces”, Ph.D, University of Utah, 1974. S. Hargreaves and M. Harris, “Deferred Shading”, 2004. L. Howes, “Making GPGPU Easier – Software and Hardware Improvements in GPU Computing”, University of Texas, Austin, Texas, 2012. AMD Graphics Cores Next (GCN) Architecture, 1st ed. Advanced Micro Devices Inc., 2012. M. McGuire, “Meshes”, Graphics.cs.williams.edu, 2011. [Online]. Available: http://casual-effects.com/data/index.html. [Accessed: 02- Jun- 2017]. T. Lottes, FXAA. Santa Clara, California, USA: NVIDIA Corporation, 2009. “Rasterization Rules (Windows)”, Msdn.microsoft.com, 2017. [Online]. Available: https://msdn.microsoft.com/en-us/library/windows/desktop/cc627092(v=vs.85).aspx#Multisample. [Accessed: 10- Jul- 2017]. “SAT (Separating Axis Theorem) – dyn4j”, Dyn4j.org, 2017. [Online]. Available: http://www.dyn4j.org/2010/01/sat/. [Accessed: 10- Jul- 2017]. This entry was posted in DirectX, General Purpose GPU Programming, Graphics Programming and tagged 3D, Clustered, forward, game, lighting, materials, math, matrices, rendering, Shaders, tiled forward, Volume Tiled by Jeremiah. Bookmark the permalink. Hi, I believe there is an error in the part regarding nVidia GP104 architecture. In particular, GP104 only has 64 CUDA cores per SM. Maxwell was the only nvidia architecture with 128 cores per SM. Also, I don’t understand why you need to keep shared memory usage at or below 1/4 of total shared memory per SM? According to the GeForce GTX 1080 Whitepaper available here: http://international.download.nvidia.com/geforce-com/international/pdfs/GeForce_GTX_1080_Whitepaper_FINAL.pdf the GTX 1080 (Pascal GP104) has 20 Streaming Multiprocessors (SM) and 2560 CUDA Cores (128 CUDA Cores per SM). Consequently, the GTX 980 (Maxwell architecture) has 16 SM and 2048 CUDA Cores (also 128 per SM). It is important to keep shared memory usage per thread block at or below 1/4 of total shared memory in order to achieve 100% thread occupancy on the SM. 4 thread blocks can be scheduled on the SM at a time but only if the total shared memory usage does not exceed the maximum amount of shared memory. The thread scheduler will reduce the number of active thread blocks until the shared memory usage is not exceed. To avoid latency with fetch instructions, the thread scheduler will preempt warps that are waiting on a load (or store) instruction, taking warps from active thread blocks. So in order to keep the thread scheduler happy and the SM active, you want to maintain 100% thread occupancy on the GPU. To do that, you must ensure that each thread block does not exceed 1/4 of the total amount of shared memory available to the SM and make sure there can be 4 active thread blocks per SM. There is a similar rule for register usage. Refer to my article on optimizing CUDA applications here: https://www.3dgep.com/optimizing-cuda-applications/#Execution_Optimizations. The article is a bit dated, but it is still valid today.